Do you recall those single candles emblazoned with Noel from the 60s and 70s? Lots of families had them. 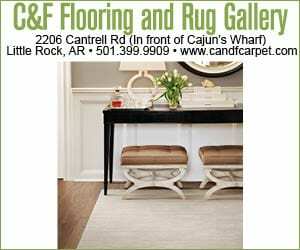 Great for doorways or fireplaces. I saved ours, and here you see one outside the front door. While they were usually placed by themselves when they were originally used, my faithful readers will know that I couldn’t just leave them by themselves. I also have a potted tree with a handful of ornaments tossed in to keep them company. 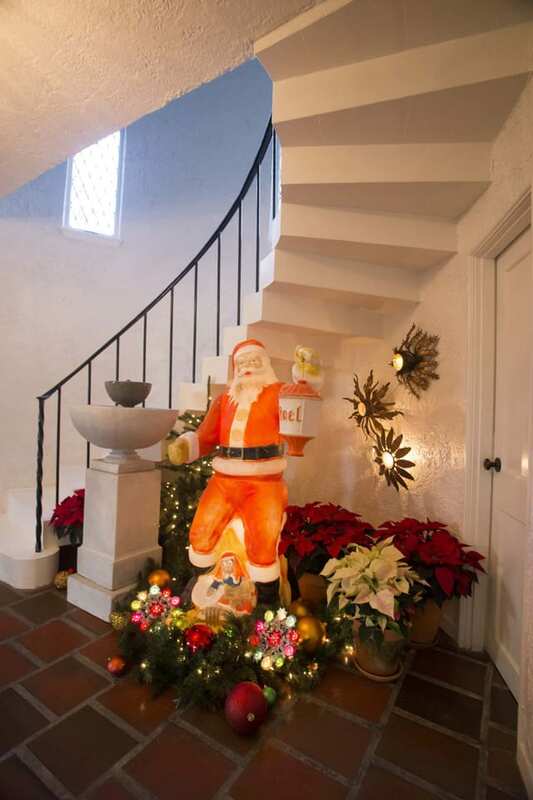 I love vintage plastic Santas. They came in a range of sizes and poses, and here, you see a close-up of a pair on the sideboard in the entryway. My existing transparent lights complement them, I think. How about a posse of Santas? Some of these originated with the Olsen family, and I’ve added to their number over the years. If you have anything like this that smacks of the season, bring it all out and use in force. 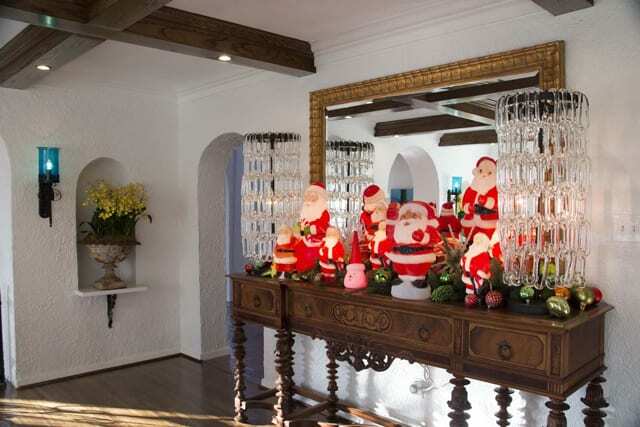 ‘Multiples’ is always a good idea in holiday decorating, so why not multiple St. Nicks? And, since they’re all the same red and white, there’s even more punch to the show. I threaded some garland around them, dropped in a few ornaments, then plugged them all in. Easy effort, big show. 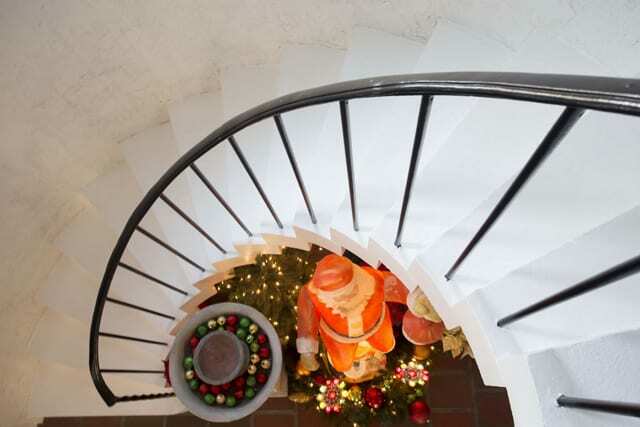 Here’s a bird’s-eye view from the stairs. You can see Santa and a fountain of red and green. Because the stairs are spiral, the view is telescoped naturally, and there’s no room for a wide display at the foot of the stairs. I used the tabletop-sized Santas for the entry, but saved the big man for here. Ornaments are not just for use on trees. I keep a surfeit of ornaments and, once I have the main parts of a display assembled, toss handfuls of them around. 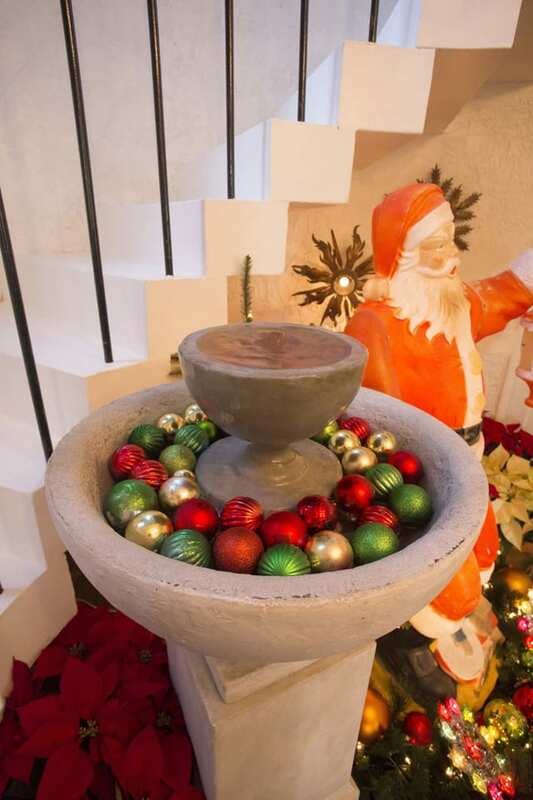 The fountain was already here, and was a natural repository for this red and green mix. The colors needed to be kept simple, but the shapes are varied. You don’t see the fountain contains anything except water unless from above, or just as you walk up on it, so it’s a nice design surprise. Santa is in all his glory. 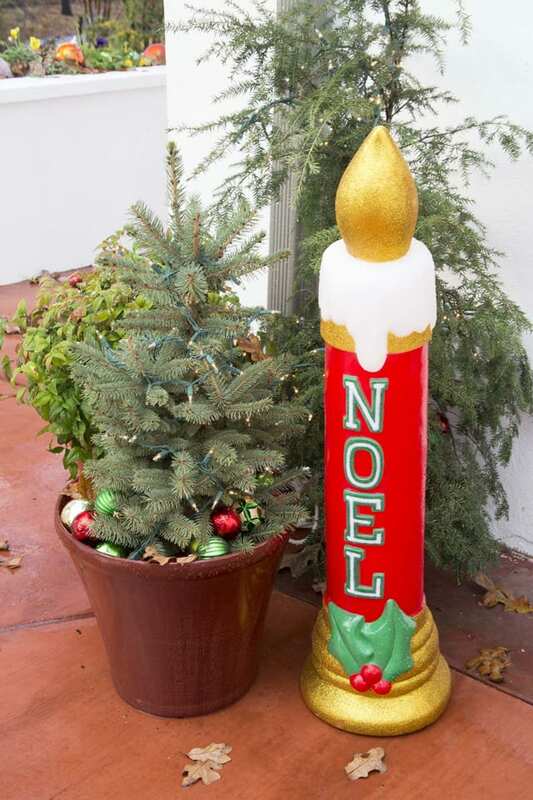 He’s life sized and greeting you with the Noel lantern, but I thought he might get lonely without other hallmarks of the season. He has not one, but two, color wheels to keep him robust, a bank of poinsettias, and finally a crush of ornaments strewn about. I kept this display full but tight, because the area is limited. Sometimes having a smaller space to work with is more fun. And makes for a better display. You can see my matching pair of candles at the front door. They aren’t especially tall or formidable, but they represent a lot more to me than just the holiday. I’ve stored them for years and they speak volumes to me. 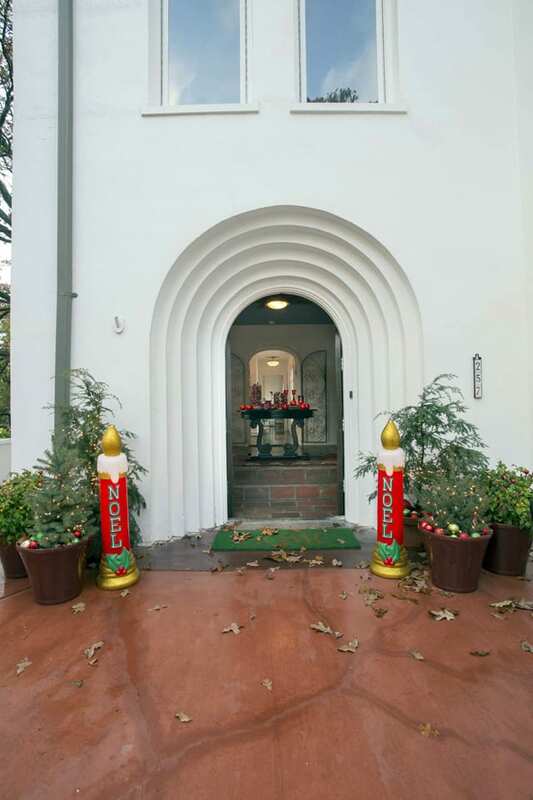 Guests will smile as they walk up, because the pair is instantly recognizable as being from the not-so-distant past. 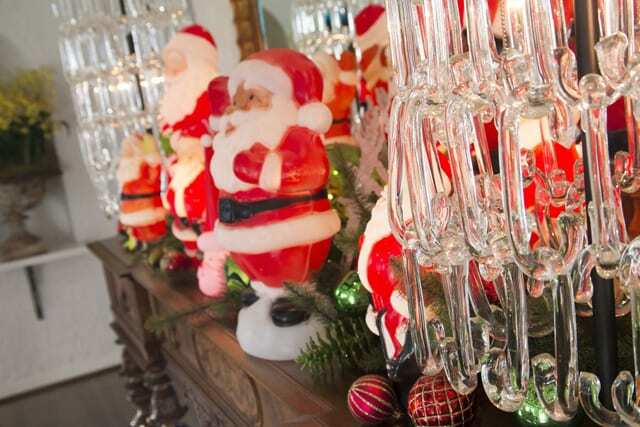 So, my advice to you about decorating for Christmas is quite simple: If you have it, use it. You can incorporate heirloom items, and they don’t have to be one-of-a-kind pieces. If you value it in your heart, it has great value, so don’t be afraid to put it up for show.